This was photographed using a Voigtlander 15mm lens. 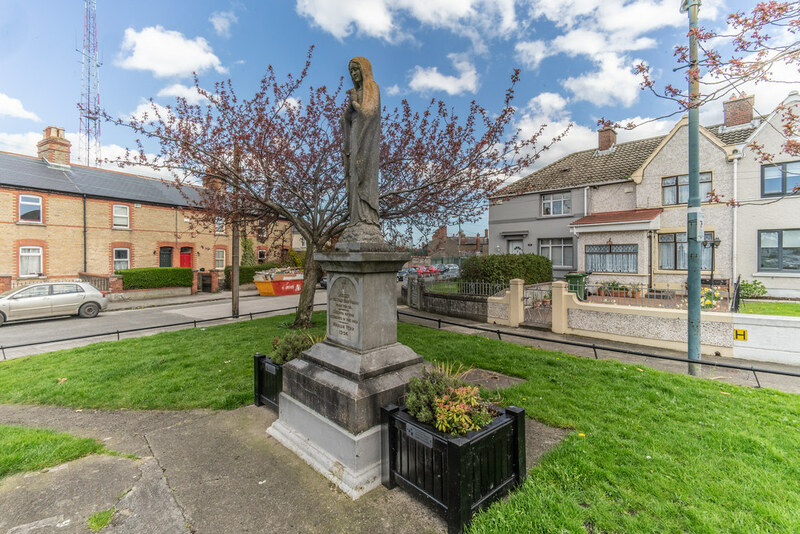 I have an ongoing mini-project to photograph all the Marian Statues in Dublin but I have failed to locate more than about ten. This one I found by accident last September. I am sure that not many people have seen this “Marian Statue”. Because of its colour [ or should I say lack of colour] it is not inclined to attract your attention if you drive by in a car. 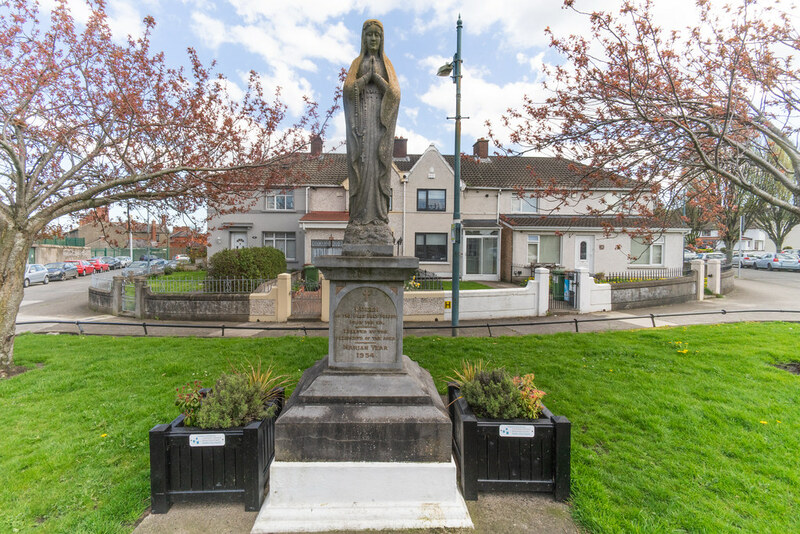 There are hundreds of statues of the Virgin Mary dotted around Ireland and there are at least 26 'Marian Statues' in Dublin and most were installed in the Marian Year of 1954, when entire communities mobilised to erect a statue for their area. As far as I can tell the majority are still in good condition and regularly maintained by the people living nearby.